Looking for fresh activity, interaction and excitement? Add PlayCubes 10.0 and unleash the play potential! 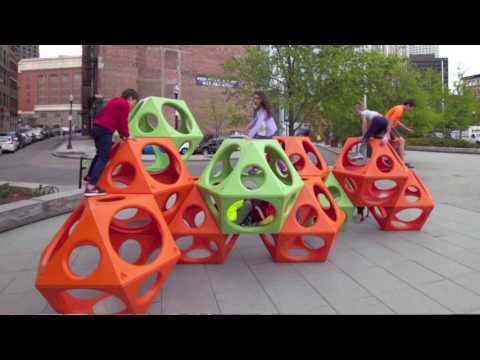 This groundbreaking collaboration with architect/designer Richard Dattner – based on his original iconic design – offers tremendous physical, social and cognitive play value. Undefined paths and varying handholds offer accessible climbing with varied levels of challenge, with negative spaces that prompt exploration in, on, and through. Is it a castle? A cavern? A caterpillar? Its distinctive 10-module scale captures the imagination and invites interpretation, interaction, and invention. Reconnect kids with their creativity, their peers, and their physical world – with the game-changing play of PlayCubes 10.0!